US-Forscher belegen: Die USA sind keine Demokratie mehr sondern eine Diktatur der Geldeliten – Im Großteil aller Entscheidungen folgt die Politik den Interessen der oberen 10 Prozent. Die Regierung handelt dabei in vielen Fällen gegen den ausdrücklichen Wunsch der Bevölkerungsmehrheit. Der Einfluss der Bevölkerung bei politischen Entscheidungen tendiere gen Null. Anders formuliert: Die Demokratie der USA ist nur eine Scheindemokratie, eine Simulation. Wirtschaftliche und persönliche Interessen einiger Weniger wiegen schwerer bei Entscheidungsfindungen als der Volkswille. Zwar vermeiden die beiden Forscher Martin Gilens und Benjamin I. Page das Wort “Oligarchie” in ihrer Studie, aber die Umschreibung “Dominanz der Wirtschaftseliten” bedeutet nichts anderes! Vielleicht sogar eine Stufe gefährlicher: Es sei vermutlich etwas komplizierter als eine Oligarchie, weil die Eliten die Politik nicht direkt bestimmen, sondern durch Lobbyisten nur gezielten Einfluss nehmen. 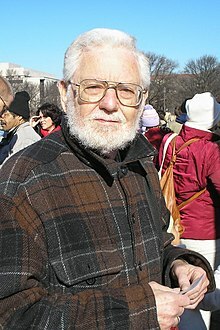 Für die Studie “Testing Theories of American Politics: Elites, Interest Groups and Average Citizens” werteten die Forscher 1.800 Gesetzesinitiativen aus den Jahren 1981 bis 2002 aus und untersuchten, ob die angeblichen Volksvertreter dabei wirklich die Interessen der Bevölkerung berücksichtigten, oder aber die Interessen der Eliten. Das Resultat: Im Großteil aller Entscheidungen folgt die Politik den Interessen der oberen 10 Prozent. Die Regierung handelt dabei in vielen Fällen gegen den ausdrücklichen Wunsch der Bevölkerungsmehrheit. 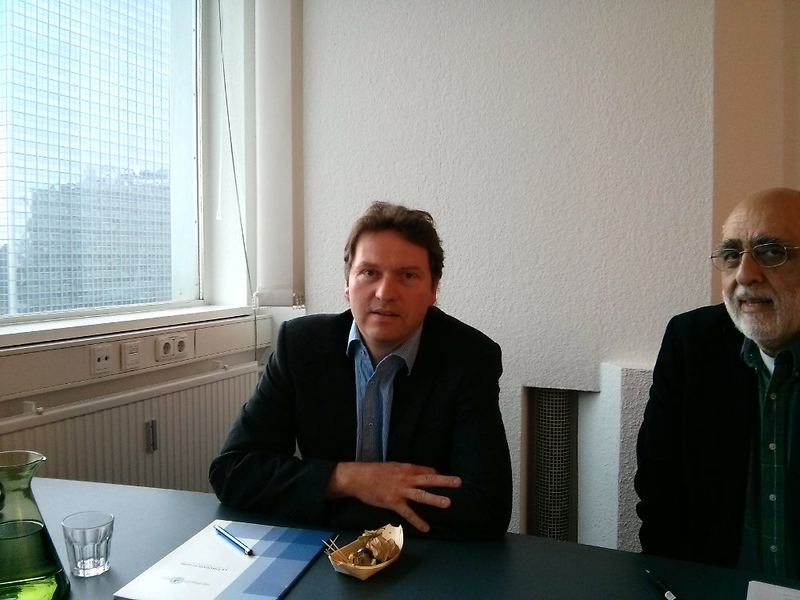 Der Einfluss der Bevölkerung bei politischen Entscheidungen tendiere gen Null. Anders formuliert: Die Demokratie der USA ist nur eine Scheindemokratie, eine Simulation. Wirtschaftliche und persönliche Interessen einiger Weniger wiegen schwerer bei Entscheidungsfindungen als der Volkswille. Zwar vermeiden die beiden Forscher Martin Gilens und Benjamin I. Page das Wort “Oligarchie” in ihrer Studie, aber die Umschreibung “Dominanz der Wirtschaftseliten” bedeutet nichts anderes! Vielleicht sogar eine Stufe gefährlicher: Es sei vermutlich etwas komplizierter als eine Oligarchie, weil die Eliten die Politik nicht direkt bestimmen, sondern durch Lobbyisten nur gezielten Einfluss nehmen. Als Gründe für die Missstände nennt Gilens die Rolle des Geldes in unserem Wirtschaftssystem und das Fehlen von echten Interessenverbänden, welche die Interessen der Bürger vertreten. Letzteres trifft auf keine der Parteien mehr zu und die Gewerkschaften seien zunehmend zahnlos geworden. 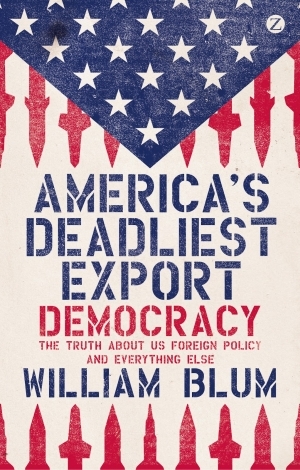 Killing Hope: U.S. Military and CIA Interventions since World War II – William Blum left the State Department in 1967, abandoning his aspiration of becoming a Foreign Service Officer, because of his opposition to what the United does in foreing countries all over the world! The plutocratic and ultra-conservative nature of the forces the US has brought to power in Ukraine make it unlikely to be an exception. To place the coup in Ukraine in historical context, this is at least the 80th time the United States has organized a coup or a failed coup in a foreign country since 1953. That was when President Eisenhower discovered in Iran that the CIA could overthrow elected governments who refused to sacrifice the future of their people to Western commercial and geopolitical interests. Most US coups have led to severe repression, disappearances, extrajudicial executions, torture, corruption, extreme poverty and inequality, and prolonged setbacks for the democratic aspirations of people in the countries affected. An American might have been asked something similar by a Guatemalan, an Indonesian or a Cuban during the ten years previous, or by a Uruguayan, a Chilean or a Greek in the decade subsequent. 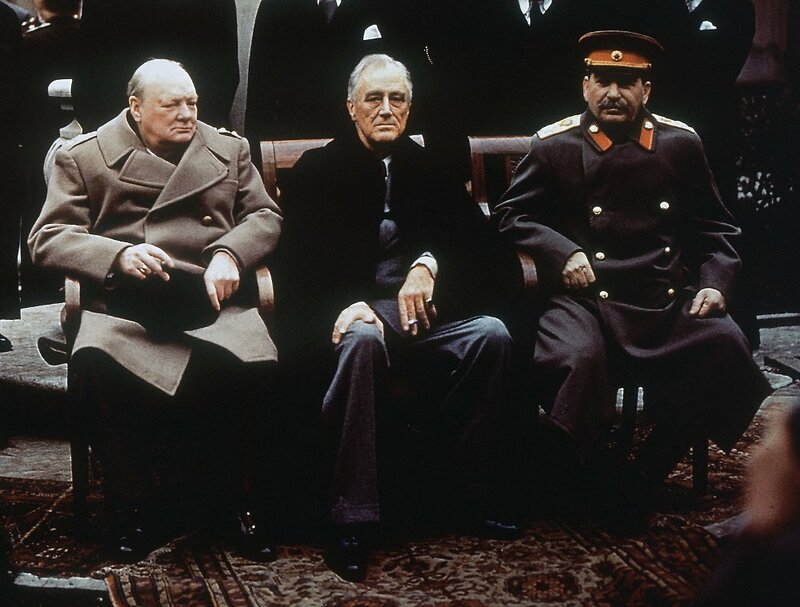 The remarkable international goodwill and credibility enjoyed by the United States at the close of the Second World War was dissipated country by country, intervention by intervention. … The members of [the military-industrial-intelligence complex] … need enemies – the military and the CIA because enemies are their raison d’etre, industry, specifically the defense contractors, because enemies are to be fought, with increasingly sophisticated weaponry and aircraft systems; enemies of our enemies are to be armed, to the teeth. It’s made these corporations wealthier than many countries of the world; in one year the US spends on the military more than $17,000 per hour, for every hour since Jesus Christ was born. The executives of these corporations have long moved effortlessly through a revolving door between industry and government service, members in good standing of the good ol’ boys club who continue to use their positions, their wealth, and their influence, along with a compliant and indispensable media, … to nourish and perpetuate the fear of “communism, the enemy” now in its seventh decade and going strong. Given the nature and machinations of the military-industrial- intelligence complex, interventions against these enemies are inevitable, and, from the complex’s point of view, highly desirable. 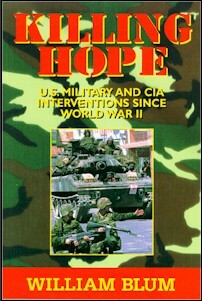 In cases such as … Grenada, El Salvador, and Nicaragua, even if the particular target of intervention does not present an immediate lucrative economic opportunity for American multinationals, the target’s socialist-revolutionary program and rhetoric does present a threat and a challenge which the United States has repeatedly felt obliged to stamp out, to maintain the principle, and as a warning to others; for what the US has always feared from the Third World is the emergence of a good example: a flourishing socialist society independent of Washington. Governments and movements with such programs and rhetoric are clearly not going to be cold-war allies, are clearly “communist”, and thus are eminently credible candidates for the category of enemy. Inextricably bound up with these motivations is a far older seducer of men and nations, the lust for power: the acquisition, maintenance, use and enjoyment of influence and prestige; the incomparable elation that derives from molding the world in your own beloved image. In all these paradigms, “communist” is often no more than the name ascribed to those people who stand in the way of the realization of such ambitions (as “national security” is the name given for the reason for fighting “communists”). It is another twist of the old adage: if communists didn’t exist, the United States would have to invent them. And so they have. The word “communist” (as well as “Marxist”) has been so overused and so abused by American leaders and the media as to render it virtually meaningless. (The left has done the same to the word “fascist”.) But merely having a name for something – witches or flying saucers-attaches a certain credence to it. 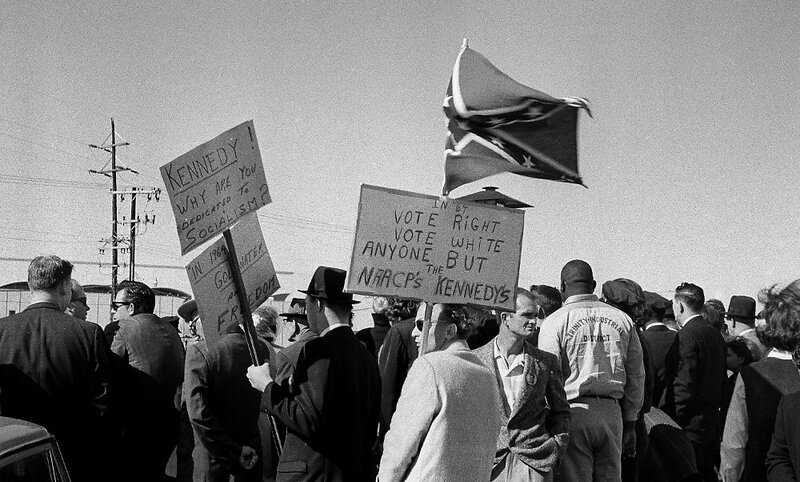 At the same time, the American public … has been soundly conditioned to react Pavlovianly to the term: it means, still, the worst excesses of Stalin, from wholesale purges to Siberian slave-labor camps; it means, as Michael Parenti has observed, that “Classic Marxist-Leninist predictions [concerning world revolution] are treated as statements of intent directing all present-day communist actions.” It means “us” against “them”. … What then has been the thread common to the diverse targets of American intervention which has brought down upon them the wrath, and often the firepower, of the world’s most powerful nation? In virtually every case involving the Third World, … it has been, in one form or another, a policy of “self-determination”: the desire, born of perceived need and principle, to pursue a path of development independent of US foreign policy objectives. Most commonly, this has been manifested in (a) the ambition to free themselves from economic and political subservience to the United States; (b) the refusal to minimize relations with the socialist bloc, or suppress the left at home, or welcome an American military installation on their soil; in short, a refusal to be a pawn in the cold war; or (c) the attempt to alter or replace a government which held to neither of these aspirations. It is reminiscent of the 19th-century American South, where many Southerners were deeply offended that so many of their black slaves had deserted to the Northern side in the Civil War. They had genuinely thought that the blacks should have been grateful for all their white masters had done for them, and that they were happy and content with their lot. A Southern physician, Samuel Cartwright, argued that many of the slaves suffered from a form of mental illness, which he called “drapetomania”, diagnosed as the uncontrollable urge to escape from slavery. In the second half of the 20th-century, this illness, in the Third World, has usually been called “communism”. 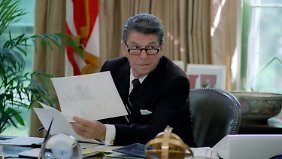 Accordingly, if Ronald Reagan conceded the masses of El Salvador have every good reason to rise up against their god-awful existence, it would bring into question his accusation, and the rationale for US intervention, that it is the Soviet Union and its Cuban and Nicaraguan allies who instigate the Salvadoreans: that seemingly magical power of communists everywhere who, with a twist of their red wrist, can transform peaceful, happy people into furious guerrillas. The CIA knows how difficult a feat this is. The Agency, … tried to spark mass revolt in China, Albania, Cuba, the Soviet Union, and elsewhere in Eastern Europe with a singular lack of success. The Agency’s scribes have laid the blame for these failures on the “closed” nature of the societies involved. But in non-communist countries, the CIA has had to resort to military coups or extra-legal chicanery to get its people into power. It has never been able to light the fire of popular revolution. For Washington to concede merit and virtue to a particular Third World insurgency would, moreover, raise the question: Why does not the United States, if it must intervene, take the side of the rebels? Not only might this better serve the cause of human rights and justice, but it would shut out the Russians from their alleged role. What better way to frustrate the International Communist Conspiracy? But this is a question that dares not speak its name in the Oval Office …. Instead, the United States remains committed to its all-too-familiar policy of establishing and / or supporting the most vile tyrannies in the world, whose outrages against their own people confront us daily in the pages of our newspapers: brutal massacres; systematic, sophisticated torture; public whippings; soldiers and police firing into crowds; hunger, runaway unemployment, the homeless, the refugees, the tens of thousands of disappeared persons … a way of life that is virtually a monopoly held by America’s allies, from Guatemala, Chile and El Salvador to Turkey, Pakistan and Indonesia, all members in good standing of the Holy War Against Communism, all members of “The Free World”, that little known region of which we hear so much and see so little. The restrictions on civil liberties found in the communist bloc, as severe as they are, pale by comparison to the cottage-industry Auschwitzes of “The Free World”, and, except in that curious mental landscape inhabited by The Complete Anti-Communist, can have little or nothing to do with the sundry American interventions supposedly in the cause of a higher good. 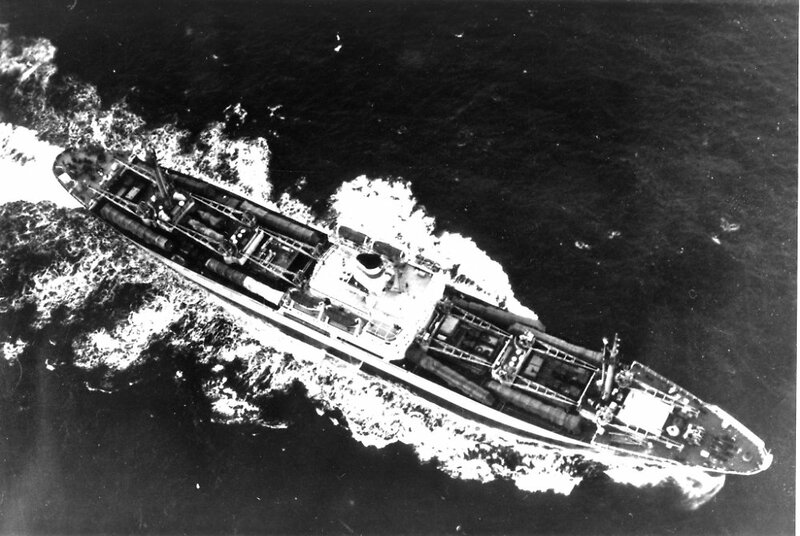 During the early 1950s, the Central Intelligence Agency instigated several military incursions into Communist China. In 1960, CIA planes, without any provocation, bombed the sovereign nation of Guatemala. In 1973, the Agency encouraged a bloody revolt against the government of Iraq. In the American mass media at the time, and therefore in the American mind, these events did not happen. “We didn’t know what was happening”, became a cliché used to ridicule those Germans who claimed ignorance of the events which took place under the Nazis. Yet, was their stock answer as far-fetched as we’d like to think? It is sobering to reflect that in our era of instant world-wide communications, the United States has, on many occasions, been able to mount a large- or small-scale military operation or undertake another, equally blatant, form of intervention without the American public being aware of it until years later, if ever. Often the only report of the event or of US involvement was a passing reference to the fact that a communist government had made certain charges – just the kind of “news” the American public has been well conditioned to dismiss out of hand, and the press not to follow up; as the German people were taught that reports from abroad of Nazi wrong-doings were no more than communist propaganda. … The de facto censorship which leaves so many Americans functionally illiterate about the history of US foreign affairs may be all the more effective because it is not official, heavy-handed or conspiratorial, but woven artlessly into the fabric of education and media. No conspiracy is needed. The editors of Reader’s Digest and U.S. News and World Report do not need to meet covertly with the man from NBC in an FBI safe-house to plan next month’s stories and programs; for the simple truth is that these men would not have reached the positions they occupy if they themselves had not all been guided through the same tunnel of camouflaged history and emerged with the same selective memory and conventional wisdom. Seymour M. Hersh on Obama, Erdoğan and the Syrian rebels: The full extent of US co-operation with Turkey, Saudi Arabia and Qatar in assisting the rebel opposition in Syria has yet to come to light. Barring a major change in policy by Obama, Turkey’s meddling in the Syrian civil war is likely to go on. ‘I asked my colleagues if there was any way to stop Erdoğan’s continued support for the rebels, especially now that it’s going so wrong,’ the former intelligence official told me. ‘The answer was: “We’re screwed.” We could go public if it was somebody other than Erdoğan, but Turkey is a special case. They’re a Nato ally. The Turks don’t trust the West. They can’t live with us if we take any active role against Turkish interests. If we went public with what we know about Erdoğan’s role with the gas, it’d be disastrous. The Turks would say: “We hate you for telling us what we can and can’t do.”’ Kann jemand nicht den ganzen Text von Hersh übersetzen! Die Massenmedien machen ihn nicht bekannt, damit wir nicht sehen können, wie leichtfertig sie Vermutungen verbreiten, um uns gegen die bei uns – und v.a. in den USA und den Netzwerken der global Reichen – als Gegner eingestuften Gegner eingestuften Staaten – zu mobilisieren, damit wir bereits sind, auch Gewaltaktionen gegen sie hinzunehmen oder zu unterstützen. Wir sollten den Text vielen zum Lesen zugänglich machen; ohne Hersh wüssten wir von vielen Skandalen nicht – und man versucht ihn immer zu diffamieren. aber er hat sehr gute Quellen im US-Sicherheitsapparat, der sich auch häufig missbraucht fühlt oder weiss. You are invited to read this free essay from the London Review of Books. Register for free and enjoy 24 hours of access to the entire LRB archive of over 12,500 essays and reviews. US-Analyst: Washington bringt jetzt die ganze Welt in höchste Gefahr. Es will einen Krieg beginnen! Wenn Russland jetzt zum Schluss kommt, dass Washington die Absicht hat, die Krise in der Ukraine in einen Krieg zu treiben und keine diplomatische Lösung will, glaubt ihr, dass Russland dann einfach sitzen und warten wird, bis der Krieg beginnt oder wird es dann nicht versucht sein, zuerst zu schießen? In den USA herrschen wenige mächtige Interessengruppen, denen egal ist, was mit uns wird, wenn es mehr Geld für sie zu erwarten gibt! Die USA ist keine Demokratie! Das Ehemalige Mitglied der US- Regierung, Paul Craig Roberts: Washington bringt jetzt die ganze Welt in höchste Gefahr. Ist es nicht sogar für einen Narren jetzt ganz klar, dass Washington einen Krieg beginnen will. Massiert die US-Regierung deshalb jetzt NATO-Truppen an den Grenzen Russlands und schickt es deshalb Schiffe mit Marschflugkörpern ins Schwarze Meer? Wenn Russland jetzt zum Schluss kommt, dass Washington die Absicht hat, die Krise in der Ukraine in einen Krieg zu treiben und keine diplomatische Lösung will, glaubt ihr, dass Russland dann einfach sitzen und warten wird, bis der Krieg beginnt oder wird es dann nicht versucht sein, zuerst zu schießen? Die USA sind keine Demokratie. Die Wahlen sind nichts als eine Verschleierung, dass in den USA wenige mächtige Interessengruppen herrschen. Demokratie und Freiheit fordern ein unabhängige und aggressive Medien, eine unabhängige Justiz und ein unabhängiges und aggressives Parlament. Die Vereinigten Staaten haben nichts davon. 125. Geburtstag von Weltbürger Charlie Chaplin Am 16. April 1889 wurde der britische Schauspieler Charlie Chaplin geboren. Er war einer der einflussreichsten Komiker des letzten Jahrhunderts. Bildstrecke Danke Charly für Deine Rede an die Menschheit! Er hinterfragte die amerikanische Gesellschaftsordnung in seinen Filmen; das Volk liebte ihn dafür, das machte ihn beim US-Staatsapparat verdächtig und der FBI-Chef hasste ihn dafür! Er erreichte dem Mann, dem die USA so viel Freude zu verdanken haben, dass Chaplin nicht mehr in die USA einreisen durfte! Im Oktober 1947 musste Chaplin wiederholt vor dem Komitee für unamerikanische Umtriebe (House Un-American Activities Committee) aussagen, und der FBI-ChefJ. Edgar Hoover, ein erbitterter Gegner Chaplins, versuchte, diesem die Aufenthaltsgenehmigung zu entziehen. In den 1930er/1940er Jahren konnte man sich in den USA bereits mit der spöttischen Hinterfragung der herrschenden Gesellschaftsordnung als marxistisch oder kommunistisch verdächtig machen. Chaplin sah sich als Weltbürger. Charles Chaplin warliberal, kritisch und Pazifist und passte damit nicht in das gängige Bild, das die Regierung von einem Filmstar erwartete. Chaplin war in der Bevölkerung überaus beliebt und parodierte hintergründig auch die amerikanische Gesellschaft und wurde dadurch dem Staatsapparatverdächtig. Ihm wurde mangelnde Verfassungstreue vorgeworfen. 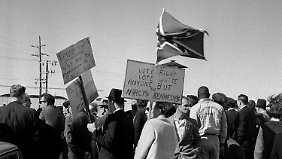 In den 1930er/1940er Jahren konnte man sich in den USA bereits mit der spöttischen Hinterfragung der herrschenden Gesellschaftsordnung als marxistisch oder kommunistisch verdächtig machen. Am 17. September 1952 verließ Chaplin die Vereinigten Staaten für einen Kurzbesuch in England. Anlass war die Weltpremiere seines dort spielenden FilmsRampenlicht. Es war die Zeit zu Beginn der McCarthy-Ära, und da das FBI unter Hoover ihn „unamerikanischer Umtriebe“ verdächtigte, erreichte der FBI-Chef beimImmigration and Naturalization Service am 18. September den Widerruf von Chaplins Wiedereinreisegenehmigung in die Vereinigten Staaten. Erst 1996, detaillierter 2003, wurde bekannt, dass George Orwell einer Bekannten zuliebe dem Information Research Department (IRD), einer 1948 gegründeten Sonderabteilung des Britischen Außenministeriums zur Bekämpfung kommunistischer Infiltration, 1949 eine Liste mit den Namen von 38 Schriftstellern und Künstlern übergeben hat, die er prokommunistischer Tendenzen bezichtigte. Hauptsächlich enthielt diese Liste die Namen von Journalisten, jedoch stand unter anderem auch Chaplin darauf. Die nicht erzählte Geschichte der Verenigten Staaten von Oliver Stone! Starregisseur Oliver Stone steht für Filme, die die unbequeme Seite der amerikanischen Geschichte beleuchten. So auch seine jüngste, zehnteilige Doku: “The Untold History of the United States” – in der er die Geschichte der Vereinigten Staaten nach dem Zweiten Weltkrieg anhand bislang wenig bekannter Ereignisse neu erzählt. Oscar-Preisträger und Regisseur Oliver Stone erzählt die Geschichte der Vereinigten Staaten nach dem Zweiten Weltkrieg neu. 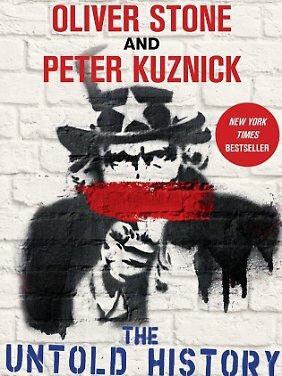 Für die aufwendig produzierte Doku-Reihe “The Untold History of the United States” hat er die Geschichtsbücher nach weniger bekannten Ereignissen gewälzt. Dabei stieß er unter anderem auf Entscheidungen im Weißen Haus, die kaum jemand kennt, die aber die ganze Welt verändert haben. Die zehnteilige Reihe zur bislang unerzählten Geschichte der Supermacht läuft im Herbst als deutsche Erstausstrahlung exklusiv bei n-tv. Im Grunde ist die Geschichte der USA bekannt. Jeder US-Präsident steht für die Politik seiner Amtszeit. 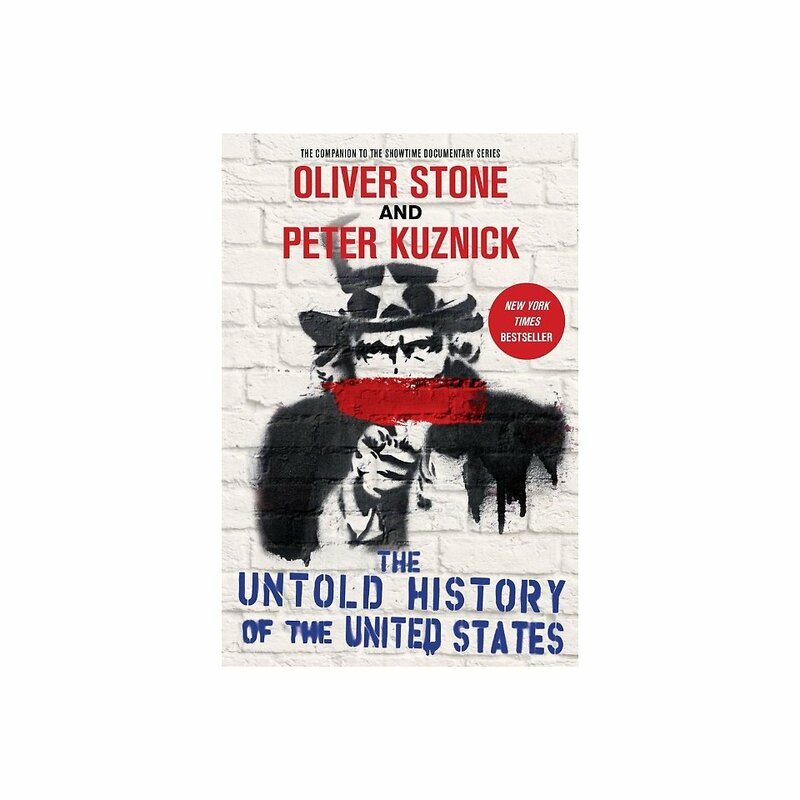 Doch Oliver Stone hat als Regisseur und Produzent von “The Untold History of the United States” einmal genauer hingesehen. Er hat gewissermaßen zwischen den Zeilen der offiziellen Geschichtsschreibung gelesen. Der Vietnam-Veteran Stone fragt: Wer sind die vergessenen Akteure im Hintergrund und was sind die kleinen, scheinbar harmlosen Details? Wäre es jemals zum Einsatz von Atomwaffen gekommen, wenn Präsident Roosevelt nicht im Amt verstorben wäre? Wer hat den Kalten Krieg gewollt? Wären die USA in den Krieg gegen den Terror gezogen, wenn nicht George W. Bush zu diesem Zeitpunkt Präsident gewesen wäre? 40. Präsident der USA: Ronald Reagan. In zehn Folgen konzentriert sich “The Untold History of the United States” auf die Ereignisse und Entscheidungen, die bislang fast unerwähnt geblieben sind, aber maßgeblich waren. Oliver Stone blickt kritisch auf die jeweilige US-Regierung und die Männer an der Spitze von Roosevelt bis Obama. Mit dem Wissen von heute erzählt er die Geschichte von damals. Behandelt werden die Kriege Amerikas in Korea, Vietnam, gegen den Irak und Afghanistan. Außerdem untersucht die Doku-Reihe, welche Rolle die USA seit dem Fall des Eisernen Vorhangs in der Welt spielen und welche weitreichenden Folgen der Krieg gegen den Terror bis heute hat. Oliver Stone und sein Mitautor Peter Kuznick, Geschichtsprofessor und Direktor des Nuclear Studies Institute der American University in Washington, D.C., haben mehrere Jahre lang in den Archiven nach Informationen geforscht. Auf der Suche nach Fotos, Filmmaterial und alten Aufzeichnungen reisten sie quer durch die USA, in die ehemalige Sowjetunion, nach Japan, England und Deutschland. Starregisseur Oliver Stone ist dafür bekannt, politisch kontroverse Themen in seinen Filmen aufzugreifen. Nach Filmen wie “JFK”, “Platoon”, über die Wall Street und die Anschläge des 11. September (“World Trade Center) macht sich der dreifache Oscar-Preisträger daran, die wirklich wahre Geschichte der USA zu erzählen. 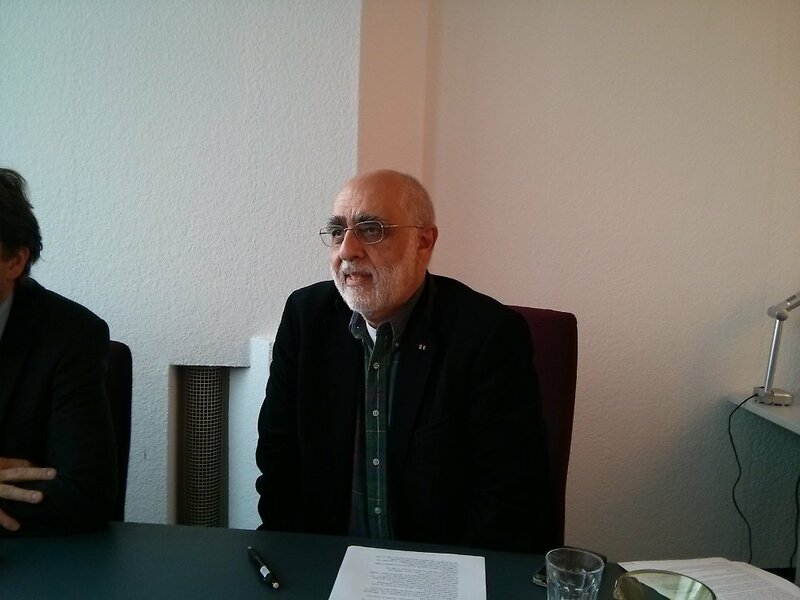 Gemeinsam mit Peter Kuznick, Geschichtsprofessor an der American University in Washington, schreibt Stone das fast 800 Seiten starke Buch “The Untold History of the USA” und produziert dazu eine gleichnamige, zehnteilige Serie, die Ende letzten Jahres in den USA gelaufen und ab Herbst als deutsche Erstausstrahlung bei n-tv zu sehen ist. Es geht um den amerikanischen Exzeptionalismus und Imperialismus, die Frage der Reichtumsverteilung und auch der Bürgerrechte. n-tv spricht mit Stone und Kuznick über Hintergrund und Anliegen des Projekts. An diesem Montag startet bei n-tv “Die Geschichte Amerikas” von Hollywood-Regisseur Oliver Stone. Seine Interpretation der amerikanischen Geschichte ist nicht unumstritten: Vom Kalten Krieg bis zum Krieg gegen den Terror wirft Stone den USA eine Politik der permanenten Konfrontation vor. n-tv.de: Bei seiner “Geschichte Amerikas” hat Oliver Stone mit Peter Kuznick zusammengearbeitet, einem Historiker der American University in Washington. Was hätten Sie gesagt, wenn Stone Sie gefragt hätte? Michael Cullen: Ich hätte Ja gesagt, aber ich bin nicht sicher, ob wir dann zu einem Ergebnis gekommen wären. Stone benutzt spannende Bilder, aber an einigen Stellen ist mir das Ergebnis zu suggestiv. Andreas Etges: Weil ich die Filme von Oliver Stone kenne, hätte ich ziemliche Bedenken gehabt – auch wenn ich sagen muss, dass mich die Serie insgesamt wirklich positiv überrascht hat. Stone hat eine klare politische Agenda, es gibt die Guten und die Bösen, die Helden und die Bösewichte. Aber seine Darstellung folgt nicht den Verschwörungstheorien, die er zum Teil in seinen Filmen verarbeitet hat. Selbst bei Kennedys Ermordung hält er sich sehr zurück. Die Serie ist also deutlich seriöser als seine Spielfilme? Cullen: Auf jeden Fall. Ich hatte erwartet, dass Stone die alte Geschichte serviert, dass Präsident Roosevelt wusste, dass die Japaner einen Angriff auf Pearl Harbor planen. Stone hat jahrelang damit operiert. In der Serie taucht das glücklicherweise nicht auf. Oliver Stone wendet sich mit seiner “Geschichte der USA” vehement gegen das Konzept des “American Exceptionalism”. Worum geht es da? Etges: Es ist eine der Mythen, die die Identität des Landes prägen. “American Exceptionalism” bedeutet, dass sich die USA vom klassischen Entwicklungspfad der europäischen Staaten entfernt haben und Freiheit, Liberalität und Chancengleichheit verkörpern. Implizit ist damit auch gemeint, dass die USA immer für das Gute stehen – egal, was sie machen. 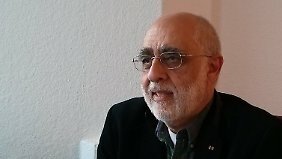 Etges: Gott spielt da auch eine Rolle, aber es sind auch nicht-religiöse Ideen damit verbunden: etwa das Sendungsbewusstsein, das Land zu erschließen, es zu besiedeln und “Freiheit” und Demokratie” auszuweiten. In der amerikanischen Politik spielt dieses Konzept bis heute eine wichtige Rolle, auch Präsident Obama benutzt es häufig. Letztlich heißt es: Amerika ist das großartigste Land der Welt. Diese Position findet man in gewisser Weise auch bei Stone. Er sagt, Amerika könnte das großartigste Land sein, wenn es nur nach den Prinzipien handeln würde, für die es eigentlich steht. Cullen: Obama hat erst kürzlich vom “American Exceptionalism” gesprochen, als er eine Rede über Syrien gehalten hat. Für ihn war es der Grund, warum die USA den Syrern helfen müssen. Dafür hat er gleich vom russischen Präsidenten eins aufs Dach bekommen. Für Putin ist der “American Exceptionalism” Ausdruck eines amerikanischen Imperialismus. Im Original läuft die Serie unter dem Titel “The Untold History of the United States”. Eigentlich wollte Stone sie sogar “The Secret History of the United States” nennen. Gibt es wirklich etwas Neues darin? Cullen: Neu im Sinne einer Enthüllung ist das nicht. Aber Stone präsentiert eine andere Sicht, die der allgemein akzeptierten Geschichte der USA in einigen Punkten widerspricht. Dazu pickt er sich ein paar Rosinen heraus – vor allem die Geschichte von Henry Wallace, die in der amtlichen Geschichtsschreibung viel kürzer kommt. Geheim ist das nicht, es ist nur wenig bekannt. Stone und Kuznick sagen, dass ihre Darstellung dem akademischen Konsens entspricht. Ist dieses sehr kritische Geschichtsbild tatsächlich Konsens unter Historikern in den USA? Etges: Nicht in jedem Punkt, aber im Großen und Ganzen wird die amerikanische Geschichte an den Universitäten in den USA heute so gelehrt. Ich bin Mitglied im Verband der Außenpolitikhistoriker in den USA. Die Mehrheit meiner Kollegen und Kolleginnen haben einen ähnlich kritischen Blick auf den Vietnamkrieg oder auf Präsident George W. Bush. Aber das ist natürlich ein ganz anderes Geschichtsbild, als etwa im “History Channel” transportiert wird. 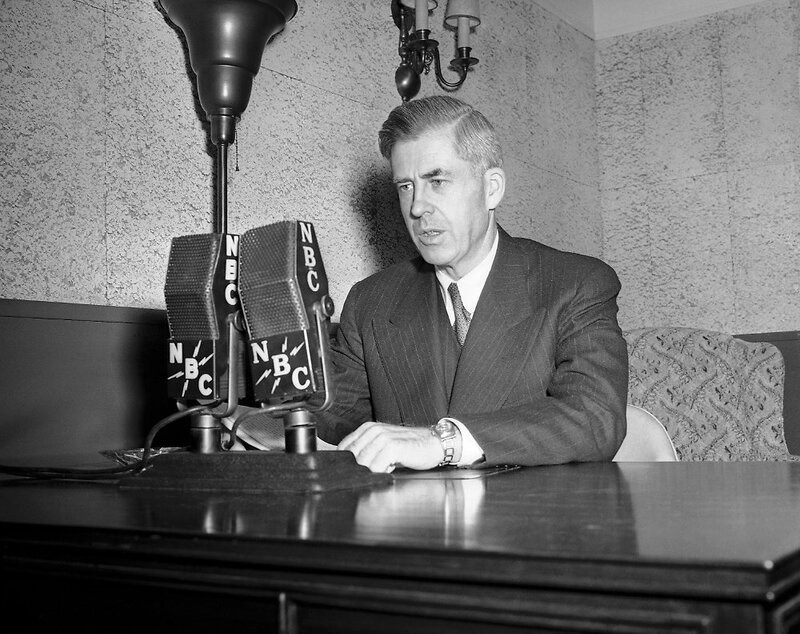 Henry A. Wallace war Vizepräsident von Franklin D. Roosevelt, wurde aber im Wahlkampf 1944 durch den bis dahin unbekannten Harry Truman ersetzt. Stone spricht viel darüber, was anders gelaufen wäre, wenn im April 1945, als Roosevelt starb, Wallace statt Truman Präsident geworden wäre. Cullen: Wallace war sicherlich ein interessanter Mann, und ich habe bisher viel zu wenig über ihn gewusst, von daher kann ich sagen, ich habe etwas gelernt. Aber für meinen Geschmack übertreibt Stone es ein wenig. 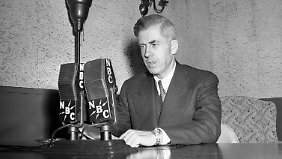 Ich glaube sogar, das ist der Kern seiner “Untold History”: die Rehabilitierung von Henry Wallace. Etges: Für Stone ist die Verdrängung von Wallace letztlich die Ursünde der amerikanischen Außenpolitik im 20. Jahrhundert. Mit Wallace als Präsident hätten die Amerikaner die Russen nicht bekämpft, sondern mit ihnen kooperiert – so stellt Stone es dar. Cullen: Wallace hätte die Bombe nicht entwickelt, Wallace hätte die Bombe nicht abgeworfen … aber wer weiß, was er wirklich getan hätte, wenn er an der Macht gewesen wäre. Oliver Stone sagt, Truman habe die Atombomben über Hiroshima und Nagasaki abgeworfen, weil er die Russen abschrecken wollte. Cullen: Das war ein Nebenaspekt. Ich glaube aber schon, dass Truman geglaubt hat, aus guten Gründen etwas Gutes zu tun. Er wollte den Krieg schnell zu Ende bringen. Natürlich gab es noch andere Gründe. Es gab zum Beispiel Lieutenant General Leslie Groves, den militärischen Leiter des Manhattan Project. Der wollte um jeden Preis einen Erfolg haben. Nagasaki wurde am 9. August 1945 bombardiert, drei Tage nach Hiroshima. Etges: Wenn ich mit meinen Studenten darüber diskutiere, versuche ich zunächst verständlich zu machen, welche Punkte aus amerikanischer Sicht für den Abwurf der Atombomben sprachen. Es gab ja bereits massenhafte Todesopfer durch die Feuerstürme in den bombardierten Städten in Japan – das zeigt Oliver Stone ja auch. In diesem Krieg wurden zehntausende Menschen in einer Nacht umgebracht, auch ohne Atombombe. Grundsätzlich gilt: Wenn amerikanische Präsidenten Krieg führen, sind sie eher bereit, viele Tote der Gegenseite hinzunehmen, um möglichst wenige US-Soldaten zu opfern. 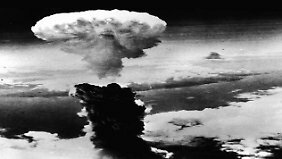 Wenn Truman darauf verzichtet hätte, die Atombomben zu werfen, hätte er sich später vorwerfen lassen müssen, viele tausend US-Soldaten auf dem Gewissen zu haben. Das bedeutet aber nicht, dass der Atombombenabwurf nicht moralisch und ethisch in Frage gestellt werden kann. In dem Dokumentarfilm “Fog of War” bringt es Kennedys Verteidigungsminister Robert McNamara, der 1945 als Stabsoffizier mit im Planungsstab für die konventionellen Luftangriffe auf Japan arbeitete, auf den Punkt: Hätten die USA den Krieg verloren, so wären die Verantwortlichen als Kriegsverbrecher vor Gericht gestellt worden – zu Recht, so McNamara. Wie finden Sie das Stalin-Bild, das Oliver Stone transportiert? Etges: Mir gefällt, dass Stone auch beim Kalten Krieg immer wieder versucht zu zeigen: Wie haben die anderen die Amerikaner gesehen? In der vorherrschenden Perspektive sehen sich die Amerikaner beständig bedroht: zuerst vom Kommunismus, heute vom Terrorismus. Stone dreht den Spiegel gewissermaßen um. Er zeigt, dass auch die Sowjetunion Grund hatte, sich von den USA bedroht zu fühlen. Aber an einigen Stellen kommt Stalin sicherlich zu gut weg. Am Ende der Serie ruft Stone die Amerikaner ausdrücklich dazu auf, die Welt durch die Augen ihrer Gegner zu sehen. Etges: Ja, und das ist ein guter Perspektivenwechsel, den er immer wieder reinbringt. Stone betont, dass die Sowjetunion beim Sieg über Nazideutschland den Löwenanteil getragen habe. Cullen: Aber wie misst man das? An Opfern hat die Sowjetunion zweifellos am meisten verloren, dreißig bis vierzig Millionen Menschen, so genau weiß man das nicht. Bei den Amerikanern war die Zahl sehr viel kleiner, da sind es 400.000 Tote. Die USA kämpften stärker mit ihrer technischen und wirtschaftlichen Überlegenheit. Sie produzierten 1000 Kriegsschiffe pro Jahr. In der Oakland Bay, der Bucht von San Francisco, lief täglich ein Schiff vom Stapel. Dazu war die Sowjetunion nicht in der Lage. Etges: Richtig ist sicherlich, dass es in den USA nur wenig Bewusstsein für den russischen Anteil am Sieg über Hitler gibt. In Hollywood-Filmen über den Zweiten Weltkrieg kommen die Russen in der Regel nicht vor, und wenn, dann werden die Deutschen – nicht die Nazis – oft besser dargestellt als sie. Stone betont zu Recht in der Passage über Kennedy, dass er der erste Präsident war, der aussprach, wie viele Millionen Menschen die Russen während des Zweiten Weltkriegs verloren hatten. Das war in seiner berühmten Rede an der American University. Hätte der Kalte Krieg vermieden werden können, wenn Wallace Präsident geworden wäre? Etges: Zu Konflikten wäre es in jedem Fall gekommen. Mich stört an Stone, dass er nur Truman kritisiert, nicht Roosevelt. 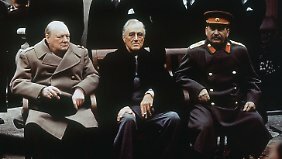 Man muss sich das vorstellen: Roosevelt ist todkrank, er hat einen neuen Vizepräsidenten, Deutschland und Japan sind noch nicht besiegt. Trotzdem bindet er den Vizepräsidenten nicht in Verhandlungen und Entscheidungen ein. Bis Truman Präsident wurde, hatte er nichts vom Manhattan-Projekt gehört. Das war unverantwortlich. Stone zufolge war das Misstrauen der USA die zentrale Ursache für den Kalten Krieg. Cullen: Das Misstrauen war tatsächlich groß. Ein Beispiel: Die Amerikaner hatten schon 1943 eine Besatzungswährung für Deutschland geplant. Die Russen erfuhren davon und wollten da mitmachen, aber die Amerikaner wollten das nicht – sie trauten den Sowjets nicht. Am Ende gelang es sowjetischen Agenten in den USA, die Druckplatten für die Banknoten in die Hände zu bekommen. Sie konnten sie jedoch nicht duplizieren, daher hatten sie nichts von ihrer Entdeckung. Lassen Sie uns zu Kennedy springen. Bei Stone ist Kennedy ein Präsident, der zwar ein paar Fehler gemacht hat, aber letztlich das Gute wollte. Zum Beispiel habe er die Invasion in der Schweinebucht 1961 nicht gewollt. War das so? Etges: Kennedy befand sich in einer Zwangslage. Im Wahlkampf hatte er sich als Kalter Krieger gezeigt und Präsident Eisenhower als zu schwach kritisiert. Von Eisenhower übernahm er dann die Pläne für die Invasion in der Schweinebucht. Wenn Kennedy das abgeblasen hätte, wäre er innenpolitisch beschädigt gewesen. Im Oktober 1962 bringt dann die Kuba-Krise die Welt an den Rand des Dritten Weltkriegs. Führte das wirklich dazu, dass Kennedy dachte, jetzt müssen wir uns mit den Russen einigen und das Rüsten beenden? 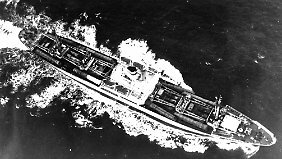 November 1962: Die Raketen werden wieder abtransportiert. Dass auch die Amerikaner Raketen aus der Türkei abziehen, wird erst später bekannt. Cullen: Den Showdown in der Raketenkrise wollten weder Kennedy noch Chruschtschow. Beide befanden sich in einer Zwangslage. Chruschtschow lieferte den Kubanern die Raketen, und Kennedy konnte nicht erlauben, dass die in seinem “Hinterhof” aufgestellt wurden. Seine erste Reaktion war die Blockade. Das hat ja auch teilweise funktioniert. Aber am Ende lief einiges schief. Etges: Stone stellt die Kuba-Krise zu Recht in einen größeren Kontext. Es waren nicht nur die bösen Russen, die die Verantwortung für die Eskalation trugen. Am Ende erkannten beide Seiten, dass sie zu weit gegangen waren. Cullen: Trotzdem sah Kennedy als Sieger aus, weil der geheime Deal erst später bekannt wurde. Nicht nur die Russen zogen ihre Raketen aus Kuba ab, auch die Amerikaner holten ihre Raketen aus der Türkei zurück. Dieser Teil des Deals sollte allerdings geheim bleiben. Etges: Bemerkenswert ist, dass sich die Russen immer daran gehalten haben. Selbst als Chruschtschows Karriere zu Ende ging, unter anderem weil er aus der Kuba-Krise als “Verlierer” hervorgegangen war, wurde dieses Geheimabkommen nicht öffentlich gemacht. Ich habe vor zehn Jahren mal einen der engsten Chruschtschow-Berater, Valentin Falin, kennengelernt. Da habe ich ihn gefragt, warum die Russen nicht ausgeplaudert haben, dass auch die USA in der Kuba-Krise eingeknickt waren. Er sagte, man habe damals angefangen, miteinander zu verhandeln – die Sowjets hätten diese Vertrauensbasis nicht zerstören wollen. Über Kennedys Ermordung heißt es bei Stone, man werde nie erfahren, wer für die Ermordung verantwortlich war, aber man wisse, dass zu Kennedys Feinden einige derselben Kräfte gehört hatten, die Henry Wallace 1944 abgesägt hatten. Hatte Kennedy sich tatsächlich so viele Feinde gemacht? Cullen: Hillary Clinton hat ja bereits 1998 von der “vast right-wing conspiracy” gesprochen, also von der großen Verschwörung der Rechten. Mittlerweile glaube ich, dass auch die Linksliberalen ihre Verschwörungen haben. Kennedy hat mit der Mafia zusammengearbeitet, mit Frank Sinatra, mit diesen ganzen Leuten. Klar ist auch, dass es viele Leute gab, die froh waren, dass Kennedy weg war, auch Leute in den Geheimdiensten und in der Armee. Trotzdem bin ich sicher, dass Lee Harvey Oswald ein Einzeltäter war. Ein Mordplan der CIA, um den Präsidenten zu beseitigen? Das ist absurd. In den späteren Folgen der Serie legt Stone einen Schwerpunkt auf all die Länder, in denen die USA direkt oder indirekt interveniert haben: Griechenland nach dem Zweiten Weltkrieg, Iran 1953, Kuba 1961, Brasilien 1964, Indonesien 1965/66, Vietnam, Kambodscha, Chile 1973, Afghanistan 1979, Nikaragua, das Massaker in El Salvador 1981, Panama 1989, Irak 1990, Afghanistan 2001, Irak 2003 – die Liste ist ziemlich lang. Ist es fair, wenn Stone einen Strich unter all diese Interventionen zieht und sagt, das war alles falsch? Cullen: Ich finde, damit hat er zu 90 Prozent Recht. Wir sollten uns sehr viel häufiger einfach heraushalten. Der zweite Irak-Krieg war absolut idiotisch. Nach den Nürnberger Prozessen wäre das strafbar gewesen. Bei vielen anderen Dingen, wie dem Putsch in Chile, haben wir Amerikaner uns verhoben. Da gibt es eine ganz Reihe von Interventionen, die nicht hätten sein dürfen. Das meiste passierte aus wirtschaftlichen Gründen, da muss ich Stone zustimmen. Etges: Das sehe ich ähnlich. Was mir bei Stone ein bisschen zu kurz kommt ist, dass der Zweite Weltkrieg für eine fundamentale Änderung im amerikanischen Sicherheitsdenken gesorgt hat. Die nationale Sicherheit wurde jetzt nicht mehr an den Landesgrenzen verteidigt, sondern weltweit. Insofern ist der Krieg gegen den Terrorismus eine Spiegelung des Kalten Krieges. Natürlich gab es auch handfeste wirtschaftliche Interessen, aber viele der Kalten Krieger waren in einem Konsens gefangen. Eine Lehre aus dem Zweiten Weltkrieg war eben auch: kein Appeasement mehr. Korea war da sozusagen der Testfall: Wenn Amerika seine Freunde nicht schützt, die Angst bei allen Präsidenten, denkt die andere Seite beim nächsten Mal, dass Amerika nicht eingreifen wird und auch die eigenen Verbündeten würden an Amerikas Glaubwürdigkeit zweifeln. Das ist auch eine Erklärung für Vietnam: Ökonomisch war das Land nicht wichtig, aber jeder Präsident hatte Angst davor, die Truppen abzuziehen. Alle Präsidenten waren in dieser schrecklichen Logik gefangen. Stone rechnet die 2500 Toten des Volksaufstands in Ungarn gegen die Opfer von US-Interventionen in Dritte-Welt-Ländern auf. Ist das ein legitimer Vergleich? Cullen: Wo sind die Maßstäbe? Gemessen an den eigenen Ansprüchen sind die Amerikaner sicherlich schlimmer. Weil sie gegen ihre eigenen Maßstäbe verstoßen. Etges: Ich denke auch, dass man so eine Rechnung nicht machen kann. Geschichte ist viel komplizierter. Aber es stimmt: Im Namen der westlichen “Freiheit” wurden viele Verbrechen begangen. Die Serie endet mit dem Appell, es doch anders zu machen. Zu seinen Momenten der Hoffnung gehört auch die Wahl von Barack Obama, obwohl er ihn als “Wolf im Schafspelz” bezeichnet. Cullen: Stone wäre bestimmt nicht für Romney oder McCain, aber Obama ist eine Enttäuschung. Das muss man sagen. Auch für die, die ihn gewählt haben – wie mich.
Aber gibt es diese Hoffnung? Stones Theorie ist ja, dass Amerika immer einen Gegner braucht, den es bekämpfen kann. Cullen: Es gibt nicht dieses eine Amerika. Es gibt viele Amerikas. Es gibt diese verrückten Typen von der Tea Party, die im Repräsentantenhaus 40 Mal versucht haben, Obamas Gesundheitsreform zu kippen. Aber es gibt auch das andere Amerika. Etges: Dennoch gibt es eine gewisse Tendenz zum Extremen in den USA – eine Tendenz, jeden Gegner als “unamerikanisch” zu diffamieren. Das war im Kalten Krieg so, das war auch so, als George W. Bush die Welt nach 9/11 in Gut und Böse eingeteilt hat: Wer nicht für uns ist, ist gegen uns. Also können die USA die Welt nie durch die Brille ihrer Gegner sehen? 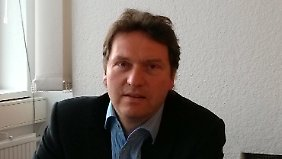 Cullen: Eine offene Gesellschaft hat immer die Möglichkeit, sich selbst zu reinigen, geschlossene Gesellschaften haben es da schwerer. Nehmen Sie die Sowjetunion: Kaum ein Staats- und Parteichef hat seine Memoiren geschrieben. In den USA macht das praktisch jeder Präsident, jeder Außenminister. Als Chruschtschow seine Memoiren schrieb, war das eine unglaubliche Ausnahme. Etges: Die Offenheit ist ein wichtiger Punkt: Man weiß mehr über die amerikanischen Verbrechen. Da ist es auch leichter, zu kritisieren.